Driving while fatigued can be very dangerous and lead to serious consequences. However, now the initial signs of fatigue and distraction can be detected before a critical situation arises. After several months of hard work and dedication, Meitrack has developed a driver fatigue monitoring system to act much like a co-driver in preventing the driver from falling asleep at the wheel. With a unique pupil identification technology, the new system can accurately detect a driver’s real fatigue and distraction state in all weather conditions, which provides an early warning alert to both the driver and the fleet control center. The driver fatigue monitoring system consists of an A89 driver fatigue monitor, a GPS vehicle tracker and Meitrack MS03 tracking platform. This new system is specially designed for the commercial transportation industry. With a camera installed on the vehicle dashboard and the lens pointing towards a driver’s face, the system can scan and pinpoint any changes such as eyelid movement, head nodding, driver absence, smoking, cell phone usage and even yawning. If any of these actions occur, a photo will be taken, and an audible alert will be triggered immediately. A driver fatigue report will be sent almost instantly to the driver’s fleet immediately after the incident. This system now allows fleet companies to get statistics and alert reports based on the time, specific trips, and mileage from the MS03 tracking platform. This data provided can be used as a safety tool by fleet companies to assist in optimal shift scheduling, boost work efficiency, reduce overall accident risks, and maximizing cost efficiency. 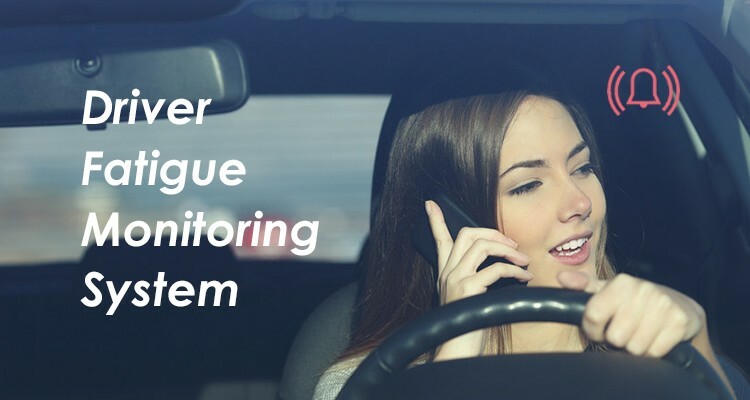 Find out more information about the Driver Fatigue Monitoring System.